AFTS instructors are practicing world-class artists, writers, photographers and musicians. Click on each instructor's name to read their full biography and for links to their individual websites. Richard Galusha is a signature member of the Oil Painters of America and NEA-grant recipient. He has shown nationally and has works in private collections throughout the U.S.
Mary Levingston is a professional painter for 20 years. Mary is an instructor for Colorado Mountain College, teaching watercolor painting courses. She has won numerous awards for her work, both nationally and internationally. Patricia Walsh feels that the image dictates the medium; thus, she works in everything from oil to crayon. Despite traveling worldwide, her imagery always returns to the Yampa Valley in NW Colorado. She is represented by Mad Creek Gallery in Steamboat Springs. Jean Perry has painted and travelled all over the world including Indonesia, Europe and Mexico. 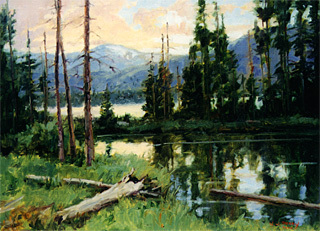 She is a signature member of the the Plein Air Painters of America, Oil Painters of America, Rocky Mountain Plein Air Painters and an honorary member of the Tuscon Plein Air Painters Society. 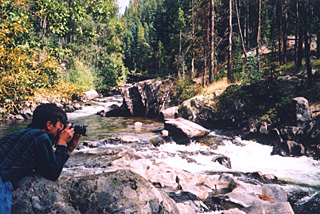 James D. Steinberg A nature and natural history photographer for more the 29 years, Jim Steinberg owns and operates the Portfolio Collection, Ltd. a stock photography studio and gallery located in Steamboat Springs, Colorado. Ken Lee has been practicing commercial and nature photography for over 15 years since graduating from the Brooks Institute of Photography in Santa Barbara, CA. Fred Hunter made his living as a screenwriter for 25 years writing for both movie studios as well as television. He was the Africa Correspondent for The Christian Science Monitor in the 1970s. In 2000, Cune Press published his AFRICA, AFRICA! Fifteen Stories. Jill Murphy Long is well known to American women as the author of the Permission Book Series, including her best-selling Permission to Nap,Taking Time to Restore Your Spirit. Susan de Wardt is a masterful facilitator of process and excels at using journal writing techniques to actualize ones dreams and visions. Susan is adept at showing how one can access creativity, enrich one’s life and connect with one’s inner wisdom. Cynthia Brian is a popular speaker, dynamic writer, and savvy media personality appearing regularly on radio, TV, and in print. She is the New York Times best selling author of Chicken Soup for the Gardener’s Soul, Be the Star You Are, The Business of Show Business, and Miracle Moments®. When she’s not writing, coaching, or performing, you’ll find her in the garden! Tune into her weekly radio program at www.star-style.com. Michelle Dover is an instructor of writing at Colorado State University with a special interest in non-fiction and creative writing. John Sant’Ambrogio, director of AFTS, was Principal Cello of the St. Louis Symphony Orchestra for 37 years (1968-2005). He brings his love of the arts and teaching to AFTS. 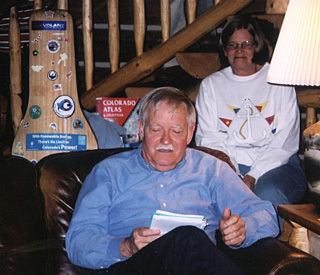 Mary Beth Norris, flutist, founded the Steamboat Springs Chamber Orchestra. For over 25 years, she has had hundreds of students under her “toot”elage. Teresa Steffen Greenlee is Concertmaster of the Steamboat Springs Chamber Orchestra and member of the Steamboat Piano Trio. Eric Flam is currently the principal cellist of the Steamboat Chamber Orchestra. Currently Eric runs his own private music studio teaching violincello, classical and contemporary guitar and piano. Keri Rusthoi is the Founder and Artistic Director of the Emerald City Opera. She teaches privately, at the Perry-Mansfield School for the Performing Arts, Arts for the Soul and Colorado Mountain College. She is the recipient of numerous awards including the Denver Lyric Opera Award and the Marie Clough Gillis Award for Excellence in Vocal Music. She has been a finalist for the Fulbright Awards and the winner of the New Mexico Symphony Young Artist Competition. Christel Houston - Christel earned her BA in music education and piano from Azusa Pacific University in southern California where she studied under Dorothy Hwang. Christel has over 25 years choral conducting experience with community and church choirs, the past 8 years with Colorado Mountain College's Columbine Chorale. She is also a private piano and voice teacher, classroom teacher, church musician, and member of the Steamboat Piano Trio. Bonnie Murray - Bonnie has played violin professionally in the Omaha Symphony, the Denver Chamber Orchestra, the Boulder Philharmonic Orchestra, the Cameo String Quartet, the Steamboat Springs Quartet and the Celtic group, "The Old School Band." As a public school orchestra and band teacher, she has taught hundreds of students in elementary, middle and high school as well as private students since 1979. Maria Carmichael, AFTS Associate Director, is a concert pianist, public and private school general and vocal teacher, organist and choral conductor of church choirs. She is the director of Madrigal and Sweet Adeline groups, a composer, and clarinetist. Mary Anne Fairlie is the violist in the Steamboat Springs String Quartet and has taught hundreds of students in the last 25 years. She has been an extra violist/violinist with the Louisiana Philharmonic and the Jacksonville Symphony Orchestra, and a member of the Erie Philharmonic, Midland/Odessa Symphony and numerous chamber groups. Tee Murray, a veteran, hiking guide, naturalist, and ski instructor will join us again for afternoon hikes in the back country. Page delivered in 0.00042 seconds.